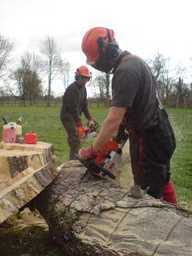 Keith Weyman are based in Watford, Hertfordshire and Provide all tree work and surgery and services, Felling pruning, tree surgery, stump grinding and stump removal and reductions. With extensive experience in tree work ensure all customers needs and requirements are met with a warm and friendly service. All jobs are comparatively priced. For further information or if you have any queries contact the number above.